In a bid to offer students quality services and support to enable them to complete their studies and have a rich experience of the Institution, Mangosuthu University of Technology (MUT) has recently recruited a new Student Counselling Director. She brings a wealth of experience and expertise in student counselling environment. A Counselling Psychologist by profession, Dr Naidoo holds a PhD in Psychology from the University of KwaZulu-Natal. 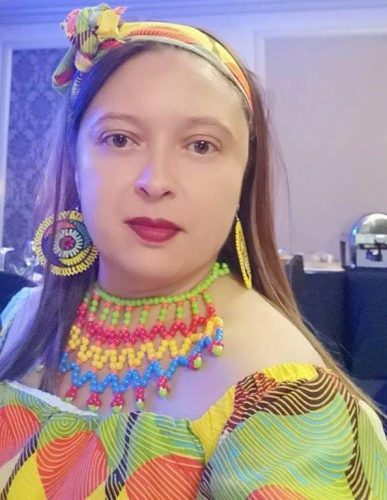 She has 19 years’ experience as a registered professional with the Health Professions Council of South Africa (HPCSA), and has worked in the student counselling context for close to 12 years at the University of KwaZulu-Natal (UKZN) and the University of South Africa (UNISA). MUT students will benefit from her approach to student development. Dr Naidoo believes in a “holistic approach to student development and well-being that encompasses both problem-solving and solution-focused support services, as well as skills development initiatives that enhance students’ emotional intelligence, acknowledges student resilience and promotes self-reliance and adaptive coping”, said Dr Naidoo. Dr Naidoo is passionate about community psychology, with a particular focus on the experience of first-generation students from disadvantaged communities, issues of social justice and psycho-social factors that impact on student admission, retention and throughput rates in South African higher education. Her areas of special interest include “mental health awareness and promotion, gender-based violence, career development and employment preparation for students exiting tertiary education”. Community outreach in the context of career guidance and skills development for learners and Life Orientation educators in local, historically-disadvantaged schools and communities is close to Dr Naidoo’s heart. She is also passionate about student mentoring and leadership development, and is excited at “the prospect of working together with MUT student structures and the broader student community on projects and programmes that will empower them to be socially responsible, effective global leaders and representatives of both MUT, and the social communities from which they come”, said Dr Naidoo. Research is another interest area and priority for Dr Naidoo. Her area of special interest is the experience of professional identity and practice as it unfolds in the context of organizations such as higher education, public service and social communities in South Africa. As Director of Student Counselling, Dr Naidoo hopes to use her research background to stimulate a research momentum amongst student counselling staff, with the aim of producing research outputs relevant to student counselling, that inform best practices and help to showcase MUT as a leading University of Technology at local and international platforms.